Effective pest management relies on sound regulatory frameworks and a very close working relationship between producers, grain storage facilities, transport operators, exporters and regulators. At the request of Tanzanian authorities, a training program was developed for ‘Best practice management of postharvest pests in storage in Tanzania’. 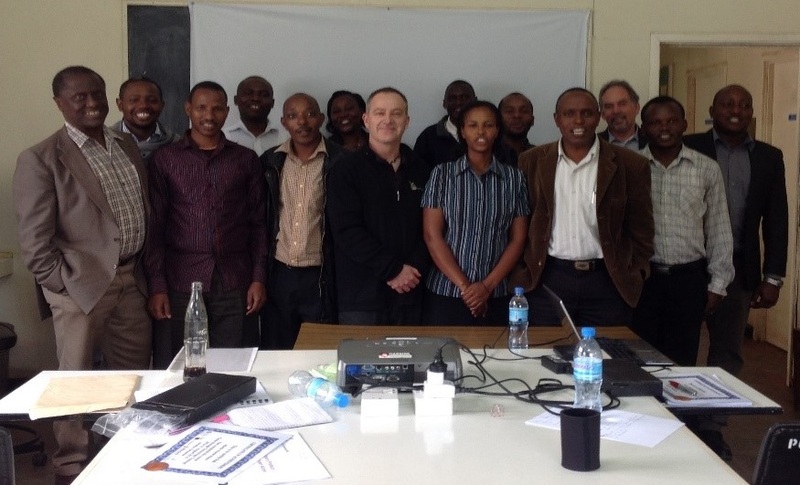 The training program was negotiated with the Tanzanian National Plant Protection Organisation, as a result of the existing connection with the Australia-Africa Plant Biosecurity Partnership (AAPBP). It was designed to improve the biosecurity skills of government staff; Tanzanian authorities identified 10 trainees from government and private sectors that represent middle-level management and senior field staff, operating either within government and/or linked to government activities. best practice of management of pests in storage. The workshop included a lively and engaging discussion on the most appropriate technologies that could be applied in the Tanzanian grain production and handling system, and identified suitable trial opportunities for the application of postharvest treatments. A major outcome of the training is improved decision making and policy development, to benefit Tanzanian agricultural trade, food security and market-linked activities. It will enhance the skills and awareness of government employees on biosecurity systems and practices to enhance food security, and establish longer-term mentoring relationships between trainers and trainees to provide ongoing advice to improve pest management. This Grain Technology Training Workshop was held with the support of the Crawford Fund, the Australian Centre for International Agricultural Research (ACIAR) and the Plant Biosecurity Cooperative Research Centre (PBCRC).